There are a number of factors that affect church acoustics. 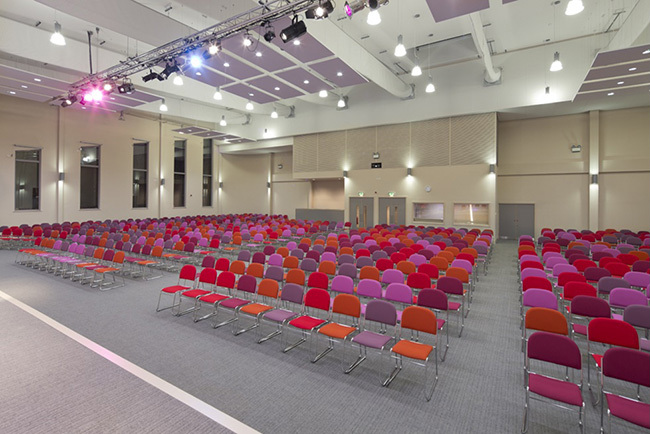 The size of the hall, the furniture and general fabric of the space (walls and floors) and, most importantly, the uses of the hall all play a huge role in the way that sound behaves in the room. Churches are often at the centre of communities and, as well as being places of worship, also provide space for a number of activities ranging from yoga and exercise classes to meetings, fetes, music performances and plays. 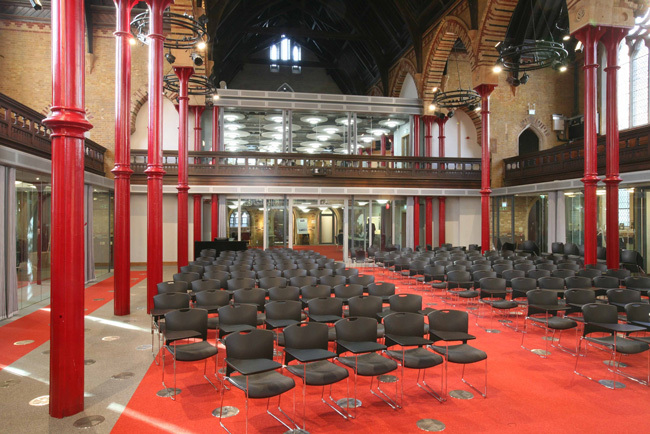 Whilst it is very important that churches provide a peaceful worshipping environment, it’s also important that the space is acoustically comfortable for the other activities that take place there. Church design also needs to be sensitive to the age range of users, particularly older patrons who are often sensitive to poor acoustics. Using a unique calculation, we find the reverberation time of your church based on factors such as cubic meterage and the existing surface finishes of the space. 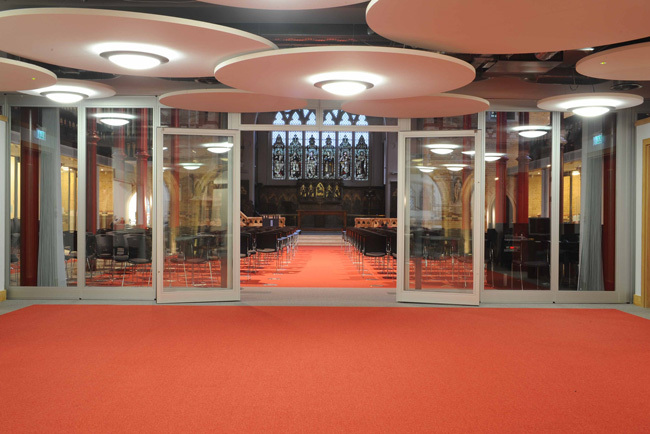 Using our findings, we draft a solution that is bespoke in products and design to match your unique church space - tailored towards reaching a reverberation time that is neither too dead or too lively. For the perfect sound environment the positioning of acoustics is closely considered. We retain reflective surfaces that aid sound ambience and arrange absorptive materials in order to avoid musical compromise. “A room to deaden all sounds is doomed to kill liturgical participation” – Environment and Art in Catholic Worship, 1990. Long reverberation time (RT) is best to enhance sound of the assembly – to amplify the resounding sound of the choir and musical performances. A long RT, however, can render a sermon virtually unintelligible. A short reverberation time is best for speech intelligibility, reducing noise bouncing off hard surfaces, creating an echo and increasing noise saturation. A short RT, however, can muffle too much musical sound, highlight musical imperfections and obstruct musical resonance and a church’s vibrant atmosphere. Striking a balance between these two sound environments is therefore vital to a functioning church space; one that encourages liturgical participation by maintaining a lively environment, whilst providing good sound insulation to prevent the intrusion of distracting sounds during worship and meditation.